It is important to know the background and qualifications of any attorney who may be doing work for you. More importantly, does that person enjoy the work that he or she does? Are they truly dedicated to helping you? A member of the National Academy of Elder Law Attorneys and the founder of the Berkshire Elder Law Center, James J. Sisto practices law at his offices located in the Holiday Inn Building at 40 Main Street in North Adams and at 311 D Main Street in Williamstown. He concentrates in the area of estate planning with a focus on those issues affecting senior citizens. He also conducts an extensive real estate practice representing both buyers and sellers in commercial and residential transactions. 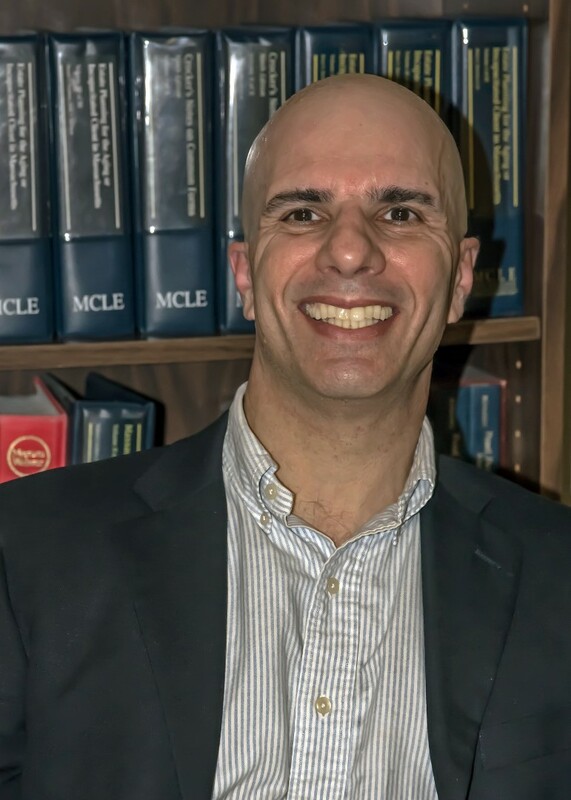 Prior to starting his own practice in 1998, he worked for seven years as an estate planning and real estate attorney for a small Pittsfield law firm. Upon receiving his law degree from Duquesne University in 1986, he worked as a tax consultant for the accounting firm of Deloitte and Touche. He is a certified public accountant and received a Masters in Law in the area of taxation from New York University Law School in 1991. He has been a guest speaker at various senior centers and nursing facilities throughout Berkshire County. A regular guest on the Berkshire Broadcasting radio station, WNAW (AM 1230), he has presented topics on estate & medicaid planning and on long term care insurance. He also teaches continuing education classes for real estate agents in conjunction with the Gateway School of Real Estate. His FREE REPORTS provide answers to frequently asked questions about estate & medicaid planning and and he publishes a free newsletter entitled Elder Helper, designed to inform elders and those professionals dedicated to serving them about a variety of elder issues. He is available at no charge to make presentations to elder organizations & community groups. In addition to estate planning and elder law, with services ranging from simple wills to the more complex planning for larger estates, Sisto also handles probate and trust administration cases.